Hello! Meet McCalls 6514. I’ve had this pattern in my stash for at least a year. Maybe more. 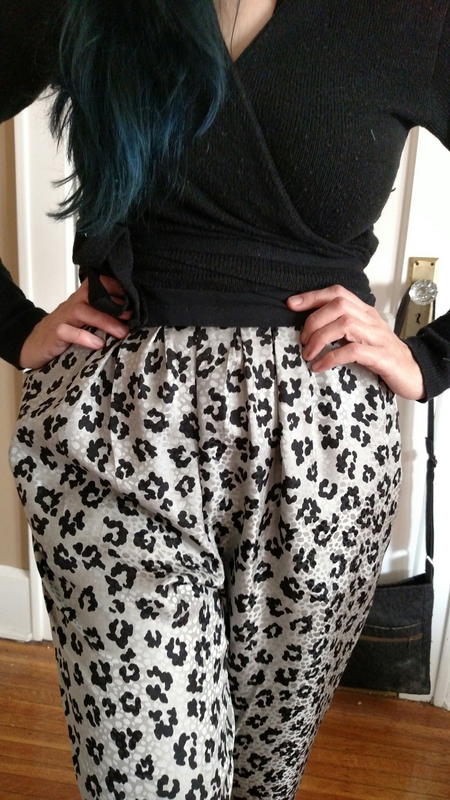 I always thought I’d make the wide legged trousers but then one day I changed my mind, bought this silk jacquard from work and after a couple of days, I have animal print silk hammer pants! Oh yes. 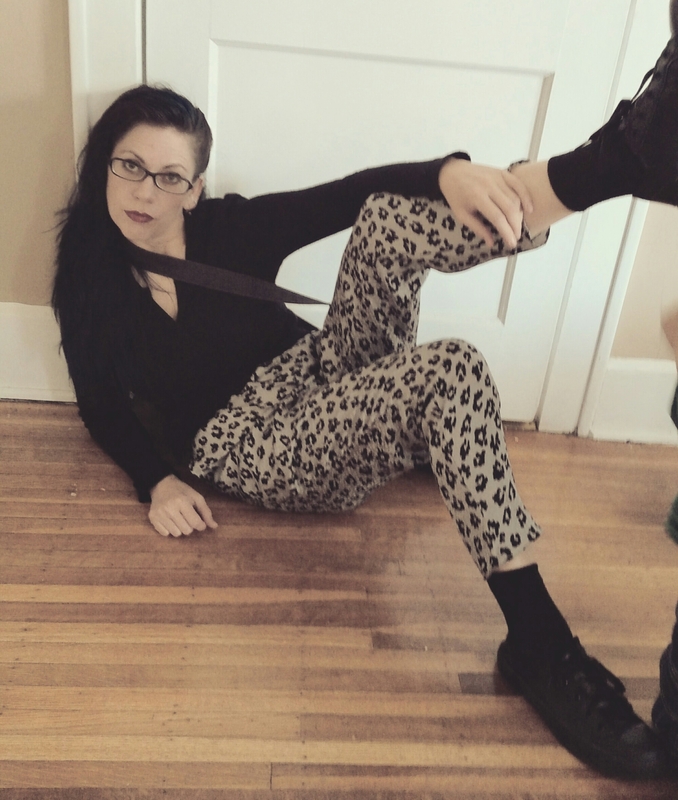 Hammer pants. It was fugly. That’s how they felt on at first. Waaaay to wide in the hip for my body so I took them in what seemed like an acre on each side! Probably a bit less and I wanted to keep the baggy design so I had to temper myself in the fitting room. Overfitting is a illness I used to suffer from and have to be vigilant of. The back has a bit of elastic that gets stitched into the side seams and the front is flat which is very comfortable, tho I worry about looking like I’m wearing mom jeans! Besides chopping off the length by about 3″ that’s all I did as far as alterations. As I sat at the airport, on my way to two fabric markets in New York this week, I was loving my silk trousers! So super soft and comfy and I might add, styleeesh, but with a slight pajama feel to them. Win, I say. Win! Huge shout out to my photographer Julieta Petrusa who did an amazing job capturing my new make! (She’s 9 and I call her mine.) The last photo was entirely stylized by Juli. Aww thank you!! Yeah, my daughter took some AMAZING photos. So excited for her. I like these a lot! The fabric is perfect for them. Thank you! They’ll definitely get used a lot come some warmer weather. Thank you! She’s developing quite the eye. Thanks Sarah!! They’re totally growing on me! Oh and we have to get together for our swap. What about this weekend? I’m in a state of envy I never knew possible.